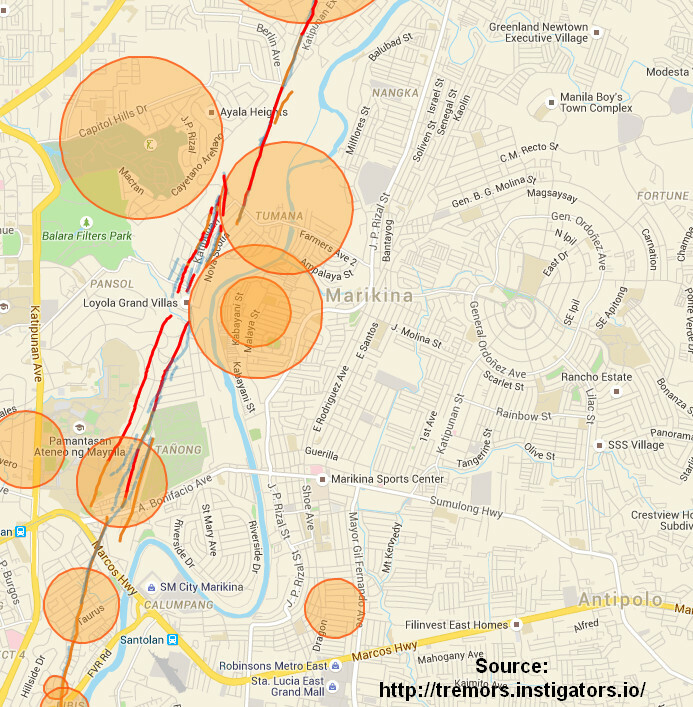 Aside from the city government of Marikina scheduling its own series of earthquake drills in its 16 barangays this July 2015, Marikina will also participate in the Metro Manila Quake Drill organized by the Metro Manila Development Authority (MMDA) on July 30. Quoted from the Official Metro Manila Shake Drill website, it says "On July 30, 2015 10:30 AM, the Metropolitan Manila Development Authority, with multi-sector cooperation from schools, business, government agencies, and religious organizations, will be conducting a metro-wide Earthquake Drill. This will increase the metro’s chances of better recovery and implementation of contingencies in the event of earthquakes." Marikina is among the 12 cities in the National Capitol Region that will participate in the largest Earthquake Drill to be held in Metropolitan Manila which starts at 10:30 am on July 30. The Metro Manila Quake Drill scenario for the East Quadrant which includes Marikina City and Pasig City are fallen structures. The evacuation site identified for this drill is LRT 2 Santolan Station and Marikina Boys Town in Marikina, and Ultra in Pasig City. The Philippine Institute of Volcanology and Seismology (PHILVOLCS) had earlier warned of a 7.2 magnitude quake following movement from the West Valley Fault which passes through the barangays Barangka, Industrial Valley, Malanday and Tumana in Marikina. MMDA is counting on public's participation.